Global Dialogue Meeting on the Role of Non-State Actors in Supporting Member where to buy tramadol cod States in their National Efforts to Tackle Noncommunicable Diseases (NCDs) as Part of the 2030 Agenda for Sustainable Development. Over the past week from 19-21 October, the WHO held a Global Dialogue on the role of non–state actors in supporting Member States in their national efforts to tackle noncommunicable diseases as part of the 2030 Agenda for Sustainable Development. This third GCM Dialogue was held in Balaclava, Mauritius. 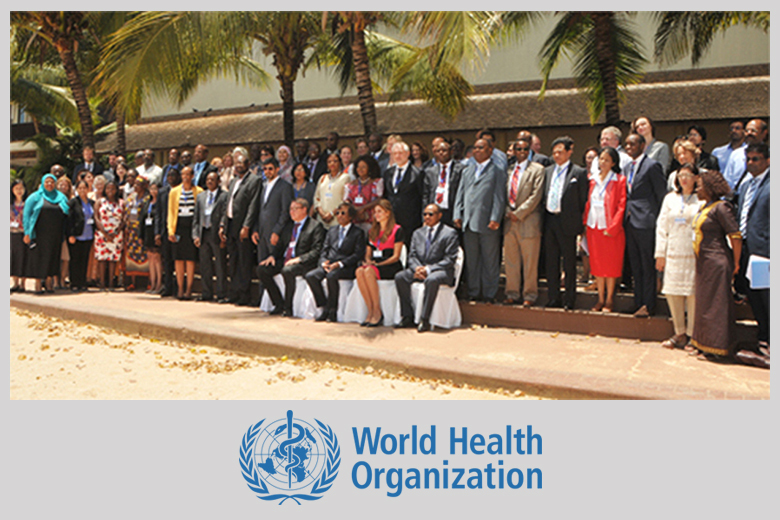 The Dialogue, which was preceded by a WHO AFRO Regional Dialogue Meeting on 17-18 October, 2016 in Balaclava, Mauritius, brought together participants from Member States, United Nations organizations, other intergovernmental organisations, non-state actors such as NGOs, philanthropic foundations, business associations and academic institutions. President of the HCC, Sir Trevor Hassell, attended the Dialogue, by invitation and shared in plenary debate sessions and workshop style sessions, the experience of national multisector NCD mechanisms in the Caribbean as instruments for NCD prevention and control. Sir Trevor on reflecting on the unique and highly outcomes oriented meeting expressed the view that “the Dialogue in a well-structured but informal way allowed the different sectors of society to come together to determine how they might more effectively discharge the mandate of WHO Member States to adopt a multisector approach to NCD prevention and control globally, and resulted in many concrete and specific proposals and recommendations”. Katie Dain, Executive Director of NCD Alliance also present, commented “The Global Dialogue has been an important opportunity to explore the roles of non-state actors in NCDs and the SDGs. It is clear that all sectors have to work together to tackle this global challenge, but there must be clear rules of engagement which are understood and respected by all. Civil society in particular has a unique role in raising awareness, coordinating advocacy, improving access to services, and holding governments to account”. Have a look at the videos here for perspectives on the Dialogue from participants:Dr Bente Mikkelsen – Head a.i.Secretariat of the WHO GCM/NCD; Professor Mary L’Abbe – Chair Department of Nutritional Sciences, University of Toronto; Dr Nick Banatvala – Senior Adviser to the Assistant Director General, Noncommunicable Diseases and Mental Health, WHO, Geneva; Dr Gerald Yonga – Head of Non Communicable Diseases (NCDs) Research to Policy Unit at Aga Khan University and member of the East African NCD Alliance; Ms. Maria Lopatina from the Russian National Research Center for Preventive Medicine. For more information on the Dialogue click here.